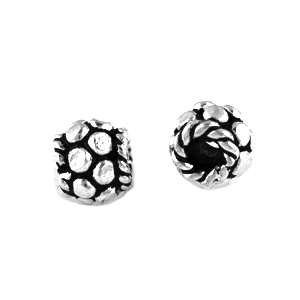 Sterling Silver Bali-Style Handmade Spacer Bead. Measures approximately 4.5mm x 5mm wide. Hole measures approximately 2.25mm. 10 beads weigh approximately 5.8 grams.